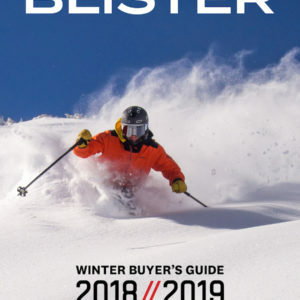 For the 18/19 season, Salomon has retired their men’s X Max line of ski boots, and is replacing it with a brand new line of boots called the S/Max. 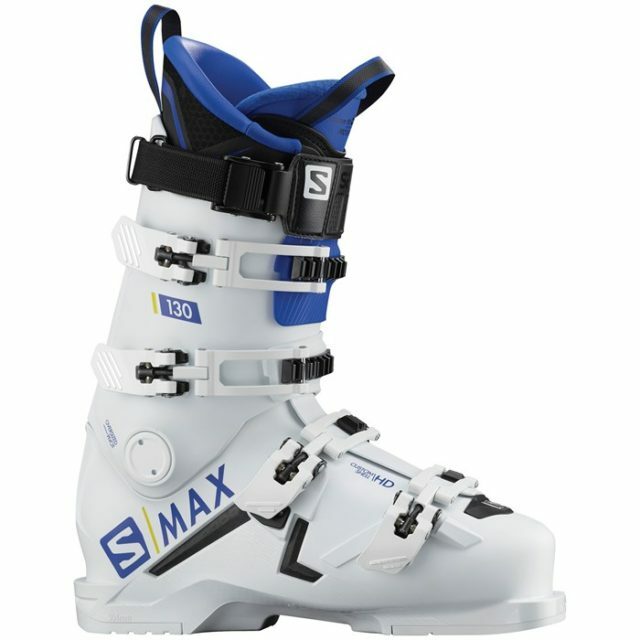 And these new S/Max boots are a pretty significant departure from the X Max line they replace. 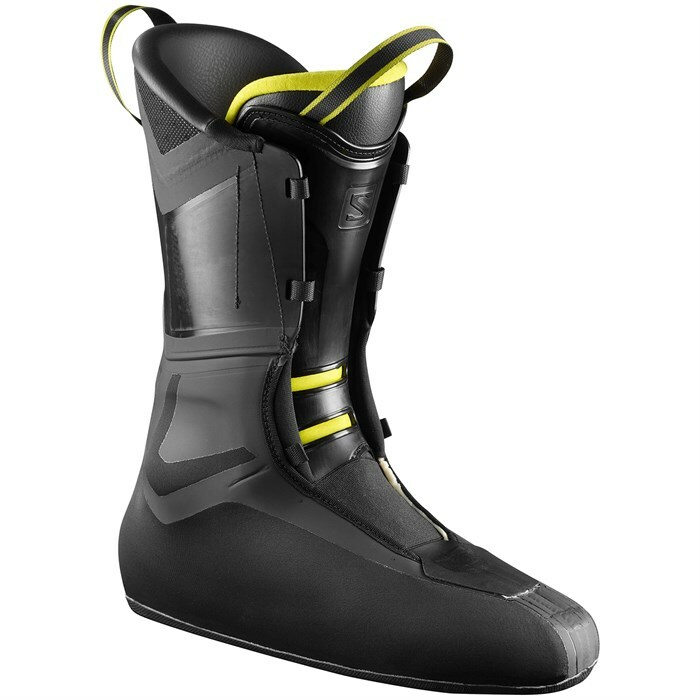 The new S/Max boots are very light, feature a new last, and have a new heat-moldable shell. 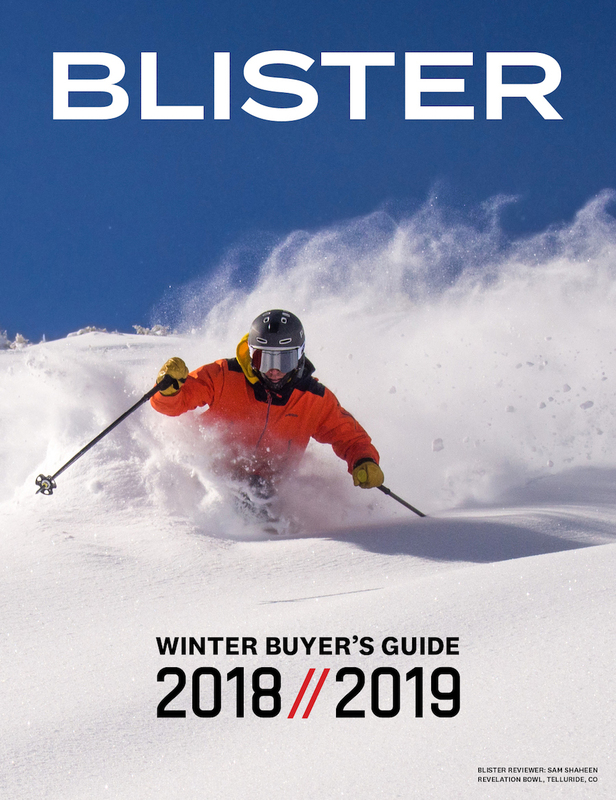 But while many companies are marketing their lightweight alpine boots to people who want a more forgiving and easy-to-ski boot, Salomon is still labeling the S/Max as their “On-Piste Performance” boot. So just how powerful, precise, and high-performance are these S/Max boots? Can they really hang with heavier high-performance ski boots, or do they feel more laid back and / or offer less of a progressive flex? And should the new S/Max boots really be regarded as on-piste-only, high-performance groomer zoomers, or would we actually recommend them for all-mountain use, too? I spent a good amount of time in the S/Max 130 and S/Max 130 Carbon this past season, so while I compile my full review, let’s take a look at what makes these S/Max boots so interesting. I’ve been reviewing the S/Max 130 and S/Max 130 Carbon, but Salomon will also be making a S/Max 120, 110, and 100. There will not be any women’s-specific S/Max boots for 18/19, but the women’s X Max lineup will still be available, which includes the X Max 120 W, 110 W, 90 W, and 80 W.
It’s not very common for a company to make two boots with the same stated flex within the same product series. But Salomon is offering two different 130-flex “S/Max” boots. Both the S/Max 130 and S/Max 130 Carbon feature what Salomon is calling “Core-Frame.” Since the S/Max boots use a thinner shell material (to reduce weight), Salomon reinforces the area around and under the ankle and midfoot in order to maintain power transfer. This reinforcement is the Core-Frame element (shown below). 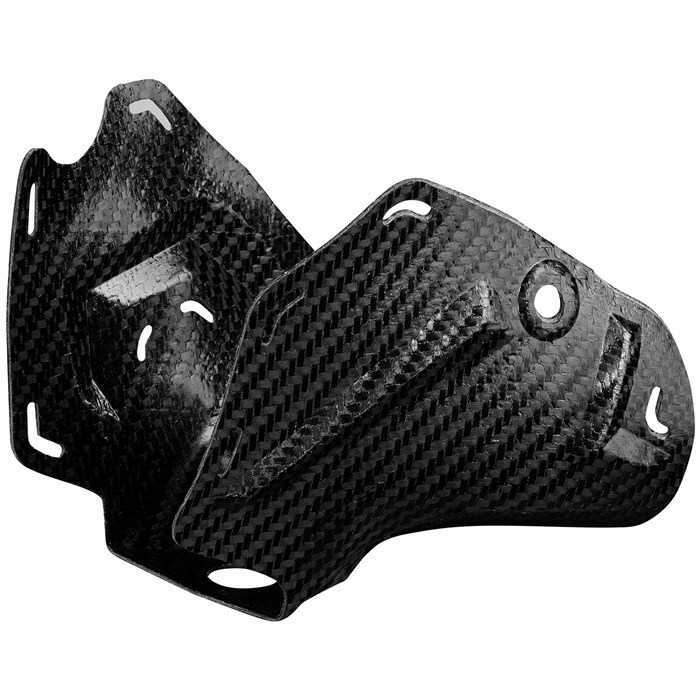 The primary difference between the S/Max 130 and S/Max 130 Carbon is that the Carbon version has a full-carbon Core-Frame, while the regular S/Max 130 features a carbon-infused Polyamide (PA) Core-Frame. The S/Max 130 Carbon also has a cuff made of Grilamid, while the S/Max 130 has a cuff made of Polyurethane (PU). So what’s supposed to be the real-world difference? According to Salomon, the story is that the S/Max 130 Carbon has “more energy and response” than the regular S/Max 130, though both boots still get the stated flex rating of 130. So this is obviously something that we’ll be weighing in on — how similar or different these two boots feel and perform on snow. Salomon is emphasizing the new S/Max line’s low weight, and with good reason. 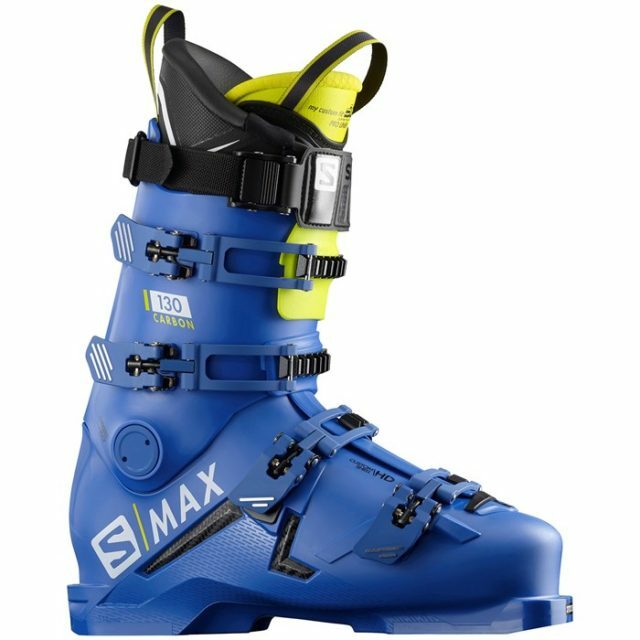 Both boots are quite light compared to most traditional alpine boots, and the S/Max 130 Carbon is about 100 grams lighter than the regular S/Max 130. Looking at this list, it’s kind of crazy to see how big of a difference there is between the (extremely light) Head Nexo LYT 130 and the Head Raptor 140 RS. 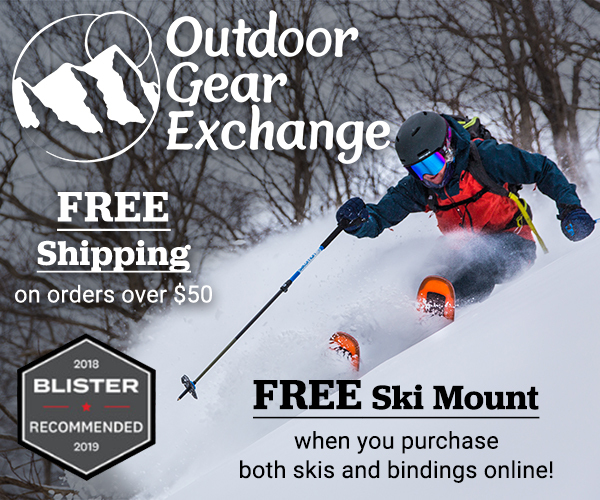 And while the S/Max 130 and S/Max 130 Carbon aren’t as light as the Nexo LYT 130, they’re significantly lighter than the Raptor 140 RS and most other traditional, 130-flex alpine boots we’ve reviewed. The S/Max boots feature a new heat-moldable shell technology that Salomon calls “Custom Shell HD.” The 18/19 versions of the Salomon S/Lab MTN, MTN Explore, and MTN Explore W will also feature Custom Shell HD. This new heat-moldable shell can be molded quicker than Salomon’s other custom shells (10 minutes for boots with Custom Shell HD vs. 20 minutes for boots with Salomon’s “Custom Shell 360°”). Salomon also claims that Custom Shell HD allows for “an even more detailed customization of the shell around the foot.” Like most of Salomon’s heat-moldable shells, boots with Custom Shell HD can be molded in the lower shell, but not the cuff. Both the S/Max 130 and S/Max 130 Carbon have extremely sleek, truly gorgeous, rather thin and pretty firm liners. It’s worth emphasizing just how streamlined these are compared to pretty much every other ski boot liner I’ve ever used. I don’t frequently find myself tempted to call a ski boot liner a work of art, but consider me tempted. The S/Max 130 Carbon’s liner is a tiny bit heavier (10-15 g) than the S/Max 130’s, but the two liners feel very similar. While the Nordica Promachine 130’s liner weighs about the same as the liners in the S/Max 130 and S/Max 130 Carbon, the Promachine 130’s liner feels a bit more plush. The S/Max boots’ liners are also unique in that they use a seamless construction. It’s a very nifty-looking construction, and without question, these would be the liners that Batman would use. 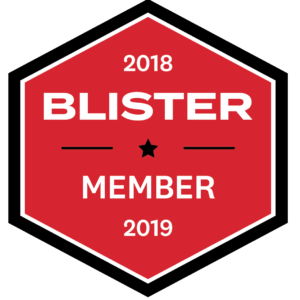 I personally can’t say that I’ve had problems with more conventionally-constructed liners, but if you’ve had issues in the past with your toes chafing on the inside of other boot liners, this might be worth noting. Pretty straightforward — 4 micro-adjustable aluminum buckles that are nice and easy to use. 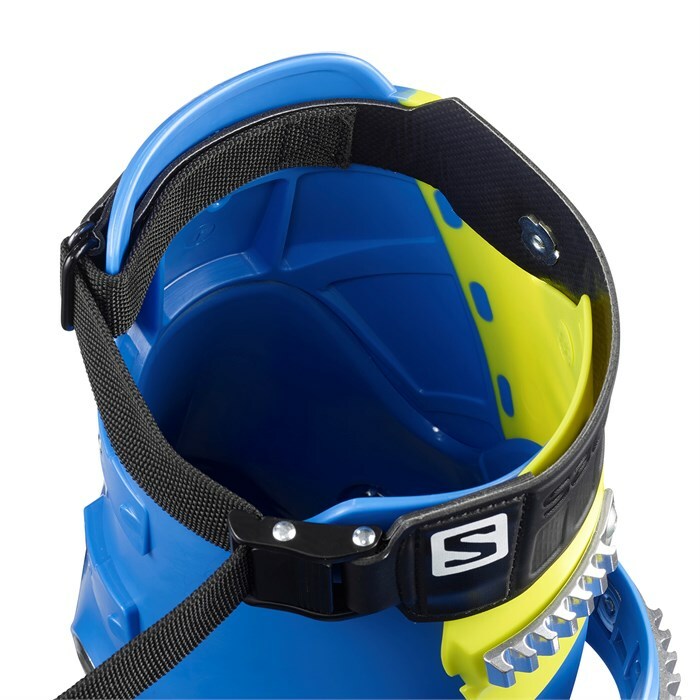 Both the S/Max 130 and S/Max 130 Carbon feature Salomon’s new “Sense Amplifier Cuff.” This basically means that the boots use a different plastic in the upper front part of the cuff that is supposed to allow for quicker rebound and better snow feel. Salomon S/Max 130, with “Sense Amplifier Cuff” shown in yellow. By the way, “Better snow feel” isn’t something that I tend to attribute specifically to the cuff of a boot per se, but we’ll be paying attention to this. What we can say is that the cuff of the boot is very low-volume, and this is something that I tend to like — I absolutely hate it when I feel like I can’t get a very tight wrap around my lower leg in a ski boot. And that isn’t any problem whatsoever in these S/Max boots. Both boots’ cuffs also have a unique power strap layout. Parts of the 45 mm cam-style power straps on the S/Max 130 and S/Max 130 Carbon sit directly on the liner (rather than the shell), and the power strap can be routed two different ways in order to customize the characteristics of the flex (i.e., make it a bit tighter and more precise, or slightly looser and more forgiving). The S/Max 130 and S/Max 130 Carbon have standard ISO 5355 plastic alpine soles. While some of the new lightweight alpine boots like the Promachine 130 and Nexo LYT 130 offer GripWalk soles, Salomon has chosen to stick with traditional flat soles. As someone who has somehow managed to survive for years while walking to and from the car in ski boots with traditional flat soles, I’m totally fine with an alpine boot like the S/Max having alpine soles. Plus, purists can feel righteous about their unadulterated soles, while looking down upon the masses with their rubber and their appalling (possible) loss of power transfer. The S/Max boots do not come with adjustable cuff alignment like that seen on boots like the Promachine 130, but Salomon says that during the Custom Shell HD process users can get up to 3° of cuff alignment that way. The S/Max boots have a stated ramp angle of 4°, and feature a standard boot board that can be ground by a bootfitter to adjust the ramp angle, canting, etc. This is the part where we tell you to go to a trusted bootfitter to decide what boot will work best for your foot. But with that said, I will offer a quick take on how the S/Max 130 and S/Max 130 Carbon feel on my feet. Both boots fit very similarly, with a few exceptions that I touch on below. Out of the box, the S/Max 130 and S/Max 130 Carbon definitely feel like true low-volume boots. The heels feel snug (but not overly tight), they have very low insteps, and very low-volume cuffs. So just because Salomon decided to ease up on the weight of the S/Max line, don’t think that they also gave the boots some easy-going, sloppy fit. But as I noted earlier, the S/Max boots all feature heat-moldable shells. So while the S/Max boots have a very low-volume fit out of the box, you can mold them to get a bit more room (Salomon says the boot’s internal forefoot width can be expanded by up to 6 mm). I heat molded both the S/Max 130 and S/Max 130 Carbon. And after doing so, I’d say they are probably the most comfortable boots that are this low-volume that I’ve ever used. Of course, your feet aren’t my feet, but on my feet, these are still a fairly intense, definitely tight fit. I haven’t yet molded the Promachine 130 (which has a similarly low-volume fit), so I’ll report back once I’ve had a chance to compare the heat-molded Promachine 130 to the heat-molded S/Max 130 and S/Max 130 Carbon. If there’s any area on the S/Max 130 and S/Max 130 Carbon where I personally could use a bit more room, it’d be the instep (and again, keep in mind that I have a pretty high instep). Even after heat molding, both boots’ insteps feel low, and I’d personally appreciate an extra mm or two of space there. And this is also one area where the S/Max 130 and S/Max 130 Carbon do feel a bit different — the S/Max 130 Carbon feels slightly tighter over my instep. 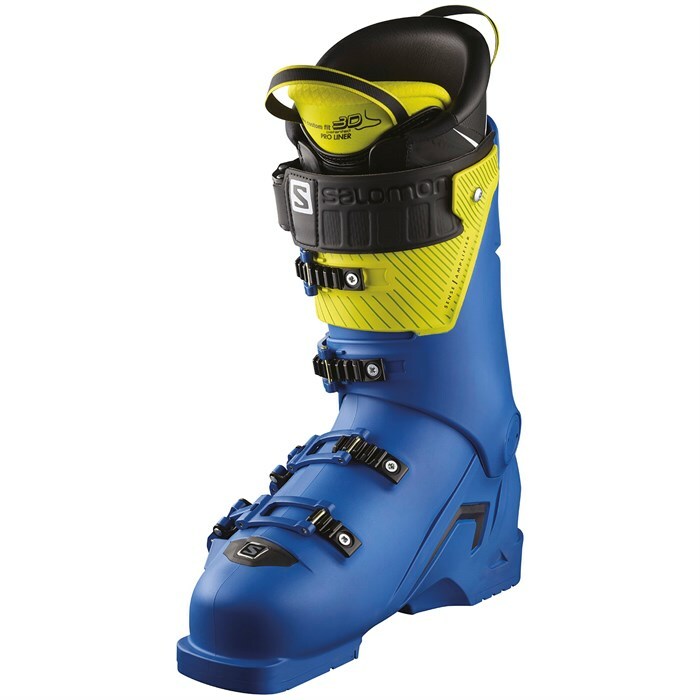 When it comes to instep height, the Nordica Pro Machine feels roomier than both the S/Max boots (though I would still definitely say that the Promachine 130 has a low-volume instep height), then the S/Max 130 was the next “roomiest” (again, it ain’t really roomy), and the S/Max Carbon — even after heat molding, it still had the tightest instep height (on my feet) of the 3 boots. The punchline here is that if you have a really low instep, I definitely think all three of these boots should be on your radar, but especially the S/Max boots. And I think that anyone who has truly low-volume feet or who simply likes a truly low-volume fit ought to check these boots out. The Salomon S/Max 130 and S/Max 130 Carbon look like pretty serious boots. They have very low-volume fits, they don’t have super-plush liners, and — spoiler alert — they are not soft boots, despite what their reduced weights might lead you to assume. We’ll soon be saying a lot more about the S/Max 130, S/Max 130 Carbon, and a bunch of other boots that are new for 18/19, but while we put together our full review feel free to add in the comments section below any questions or things you’d like us to address in our full review. I would really like to see some comparisons vs the hawx ultra 130. 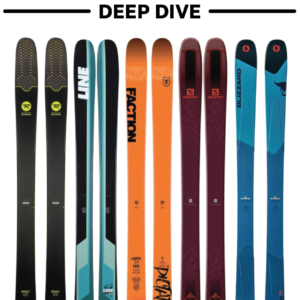 Does the last shape feel the same as the old XMax and XMax Pro boots? So, how stiff did it feel? I’m thinking boots with this new plastic might be sensitive to temperature? Cold days = stiffer boots. Feel like a traditional 130? Thanks Jonathan: flex pattern comparisons to Nordica, Head, etc. are quite helpful, but you leave my questions on the S/Max vs S/Max Carbon unanswered. Your In Depth review covers them both in basically one breath, making no distinctions. Is the only discernible difference $100 and 100g? Hi. 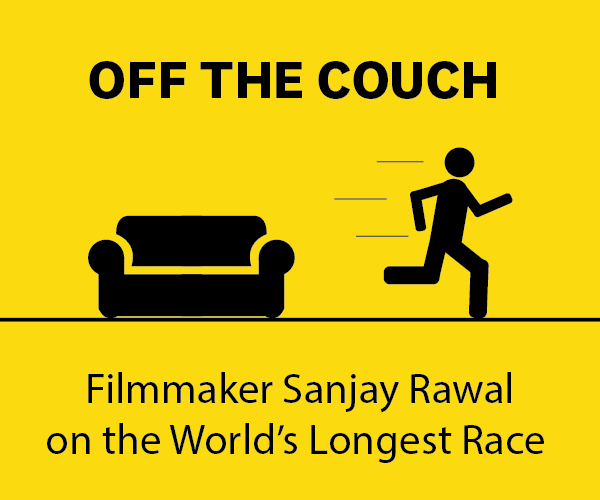 Thanks for the interesting writeup. Maybe you can comment on how do they compare to Technica Mach1 LV 130? I tried the S/Max 100 (120 and 130 out of stock) and liked the fit. Curious how the 120 flex compares to my current 140 Raptor? Need a boot with less forward lean than the Raptor, but not stiffer.